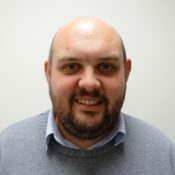 Neil completed his PhD research in Stilmuli-responsive porous materials at the University of Liverpool prior to joining BYK Additives Ltd in September 2011 as a Development Chemist. Since joining the R&D team in Widnes his main responsibilities include new product development and formulation development using LAPONITE in a variety of applications including coatings, cosmetics and household care. In addition to this he is also responsible for process, product and scale up support of all products manufactured in the UK.